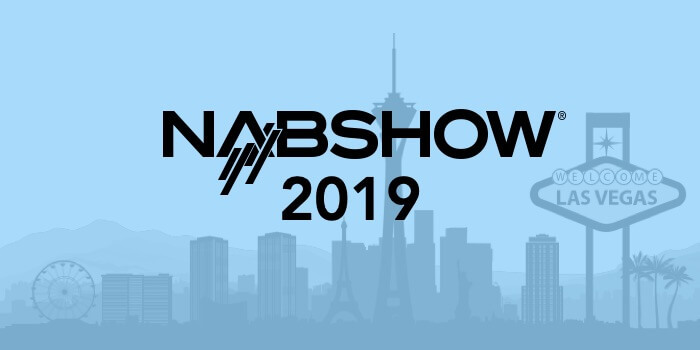 After having spent an exciting week at NAB 2019 in Las Vegas, we made it home with lots of new energy, inspiration, and interesting stories. 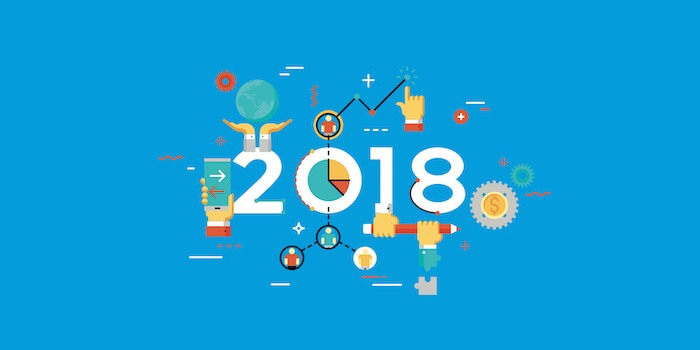 In case you didn’t make it to the fair this year, we thought we’d share some quick insights with you on the brands that caught our eye for many different reasons. Since we’re always on the lookout for the latest and greatest in scanning technology, we were thoroughly impressed with the demo at the booth from Sodyo. 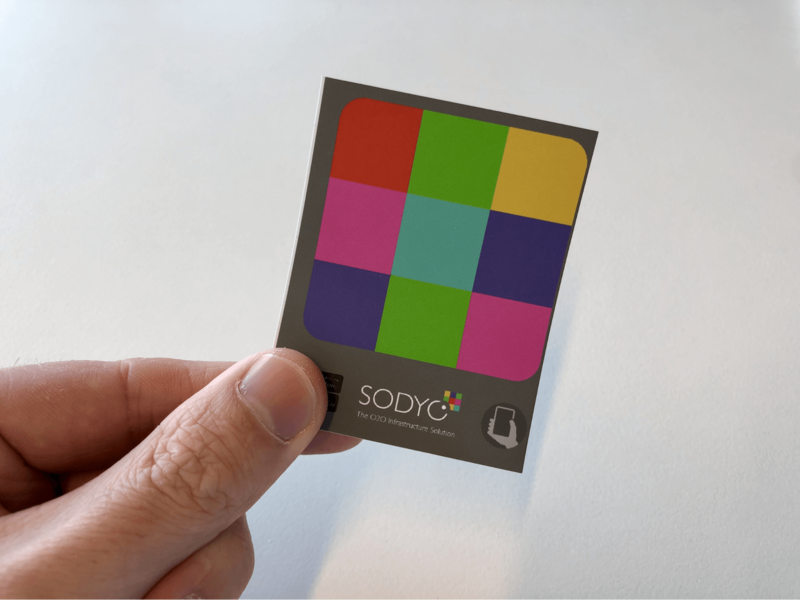 This Israeli company (Sodyo stands for “Secret Ink”) developed technology that makes it possible to scan their unique colored markers at huge distances. Their main statement: “If you can see it, you can scan it”, and they’re on a mission to make the whole world scannable. 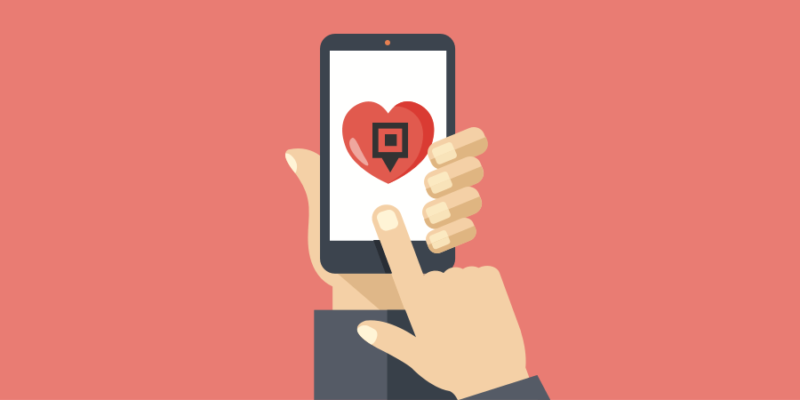 With their app, we could instantly scan a tag that was 100 feet (!) away, without any hiccups. This mind-blowing scanning tech works on the detection of Color Vertex Points (CVP) as opposed to detection of the actual color patches in other image recognition technologies and is patent pending. Definitely something we’ll keep an eye on as this next generation of scanning tech keeps developing. 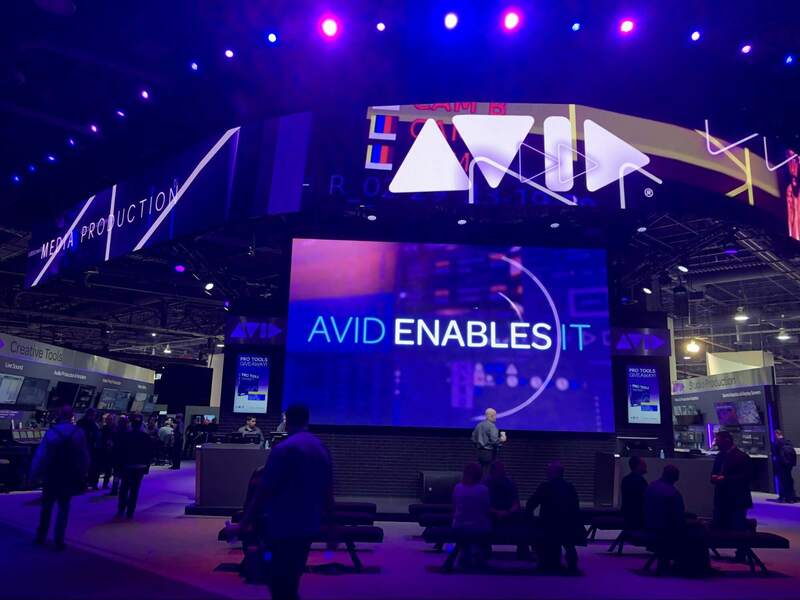 Located right at the entrance of the South Upper Hall at NAB, Avid had a booth that made you slow down your pace and perhaps even take a seat. 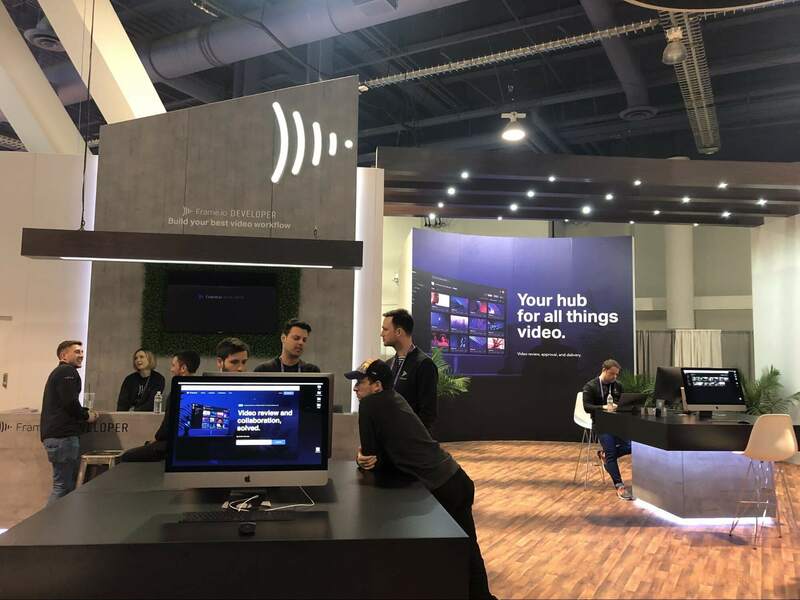 The booth set-up, color scheme, branding and audio-visual effects, formed a pretty impressive setting unveiling a range of new product offerings to propel creativity and collaboration for media enterprises, teams and individuals. If only we’ve had some time to actually watch one of their presentations and conference sessions, featuring video and audio experts behind Captain Marvel, Bohemian Rhapsody, The Orville, Venom, and Westworld. 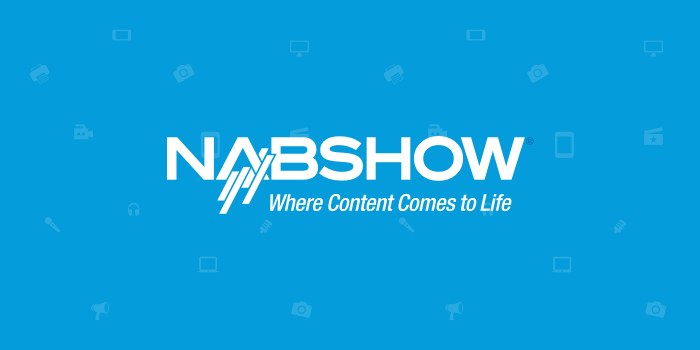 Read more about their latest product announcements at NAB. 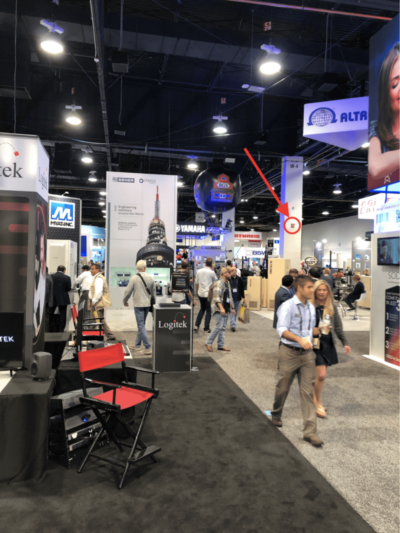 After having heard the name pop up in many conversations as the new “hot thing” and having mentioned them in our blog post about must have apps for the AV industry – how could we not-, we decided to pay a visit to Frame.io’s booth. Their booth was absolutely stunning, with wooden floors, concrete walls, and very neat branding completed with some really cool swag, a developer’s corner, an area for speakers sessions and huge screens showcasing the app… We were impressed and not surprised they were awarded the Best of Show Award for Booth Design. Check out Frame.io ‘s booth photos… they are really nice ;-). Okay, they didn’t have a booth at NAB, but the Aptiv fleet of 75 self-driving cars was hard to miss around the fair. The vehicles are available for use on the Lyft network, and ever since we landed in Las Vegas, our Lyft app started showing us options to hail a self-driving taxi for pick-ups. On Wednesday, we just missed the hotel shuttle bus so we thought it was the perfect time to try a robotic taxi service instead. We were ready to be amazed! 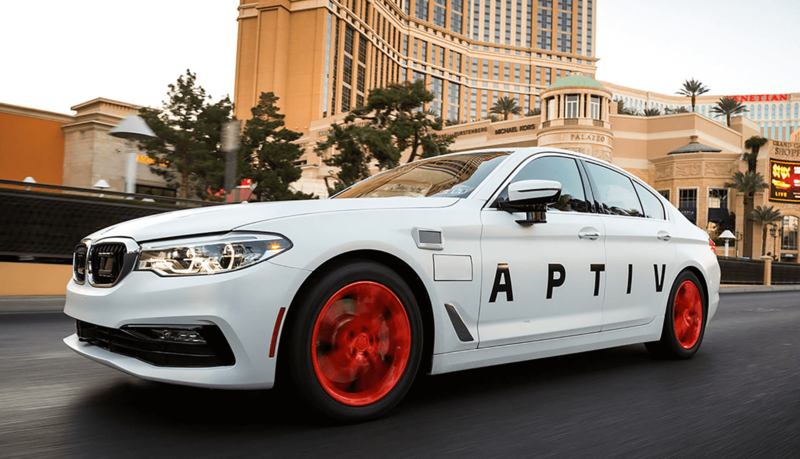 Only 2 minutes after hailing a pickup with Lyft, a sleek-looking Aptiv self-driving BMW 5-series pulled up at the hotel to take us to the South Hall of the Las Vegas Convention Center. The operators in the vehicle explained this was a Level 4 (“mind off”) autonomous driving car that drove by itself on public roads but still had to be driven by hand on private property. 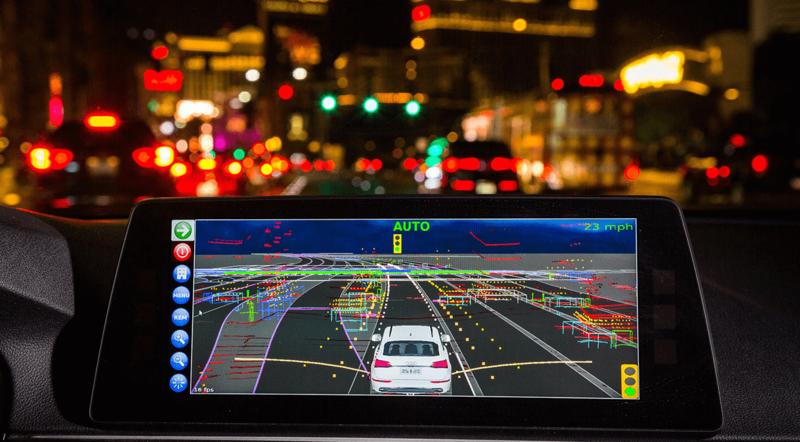 It’s guided by 20 sensors, cameras and computers to navigate the Las Vegas roads as accurately and safely as possible. 80% of the way to our destination was driven is fully autonomous mode, meaning the driver could just keep the hands off the wheel and sit back. Apart from 2 minor flukes (a traffic cone and an empty bucket on the road), the drive was completely spotless and autonomous. The car did all the lane-switching, turning, braking and accelerating by itself. Fantastic!